"Thomas Viot, right, being treated by a doctor shortly after the shark attack in Port Moresby. 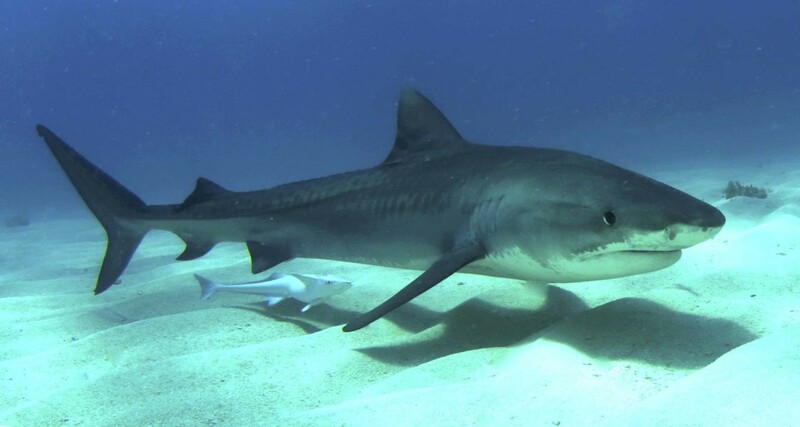 AFP"
Thomas Viot was kite-surfing near Port Moresby when he was bitten by what he believed was a two-metre tiger shark. A French diplomat working for the European Union in Papua New Guinea has been airlifted to Australia after a shark attacked him when he was kite-surfing near Port Moresby. Thomas Viot, 30, was bitten on the right leg by what he believed was a two-metre tiger shark on a reef at Hula, south of the PNG capital on Sunday afternoon. "I managed to ride back with my kite-surf. It was bleeding very badly and I don't know how but I managed to ride back," Viot told AFP from hospital in Port Moresby ahead of being evacuated to Brisbane." ""I lost a lot of blood and the leg needs to have surgery." A professional kite-boarder, Viot was surfing with two doctor friends visiting from France - a plastic surgeon and general practitioner. Another friend, Christian Lohberger, said they were able to give first aid during the two-hour trip back to Port Moresby. "He was wave-riding in big waves about a kilometre or so offshore when something knocked him off his board and when he surfaced there was a bad cut on his right leg," Lohberger said." ""The shark appeared to have launched itself out of the water at him to take his leg out," he added. Lohberger said the injury was "quite bad, with some deep wounds, but does not appear to be crippling in that not much flesh was actually ripped away". 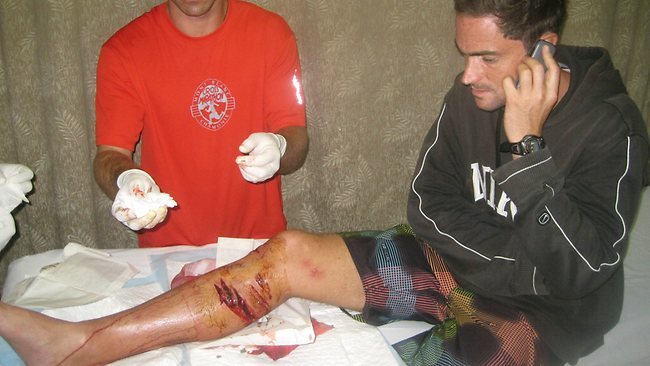 It was the second time Viot had been attacked while surfing, he added, with a stingray jumping from the water earlier this year which "put its barb right through his leg and out the other side". "I have lived and surfed in PNG myself for 30-plus years and this is the first time I have heard of a serious shark attack in the waters around Port Moresby," said Lohberger." A tiger shark a world away in the Bahamas. ""However, the weather here at the moment is, in surfer parlance, 'very sharky' with unseasonably cool and overcast conditions, grey skies, rain etc." EU economic attache Viot has been in PNG for two-and-a-half years and said there were always "plenty" of sharks at the reef, but he did not see the creature before it struck. He vowed to return to kite-surfing once he had recovered."